10. At this spot on he fastest production car from 0-60 list is the Lamborghini Aventador LP 750-4 Superveloce. The massive engine on this Lambo is a 6.5 liter, DOHC 48-valve V12. This massive engine pumps out great horsepower and torque numbers of 740 (horsepower) and 509 (pound feet of torque). This gets you from 0-60 in just 2.8 seconds. The cost on this Lamborghini Aventador LP 750-4 Superveloce is 497,000 dollars. A cool note about this Lambo is that it is available is 34 different colors. 9. At the sixth spot is the Porsche 911 Gt2 RS. 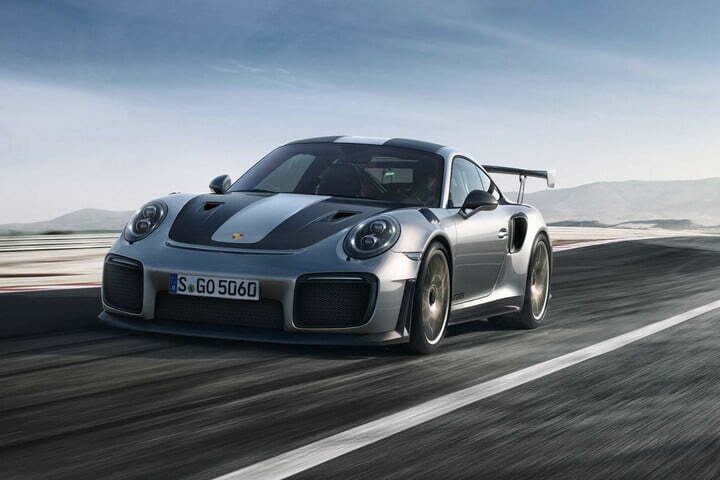 This generation of Gt2 RS´s are the fastest ever. The engine on this car is a 3.8 liter turbocharged flat-six engine. This engine pumps out 700 horsepower and a 553 pound feet of torque. This gets you from 0 miles per hour to 60 miles per hour in just 2.7 seconds. The cost on the Porsche 911 Gt2 RS is 294,250 dollars. 8. At this spot is the McLaren P1. Compared to Porsche and Ferrari, McLaren has much less road car experience. But that may have actually turned out to be a good thing when McLaren built its own member of the hybrid supercar “Holy Trinity.” The P1 was a reputation for being much more aggressive and raw than the Porsche 918 Spyder and Ferrari LaFerrari, befitting a company with more experience building race cars than road cars. The engine on this Mclaren P1 is 3.8 L twin-turbocharged M838TQ V8. This engine pumps out 902 horsepower and 664 pound feet of torque. The 0-60 time on this McLaren is 2.6 seconds. Also, the cost of this car is 1,350,000 dollars. 7. At this spot on this list is the Rimac Concept One.The Rimac Concept One is yet more proof that electric cars can be stupid fast. 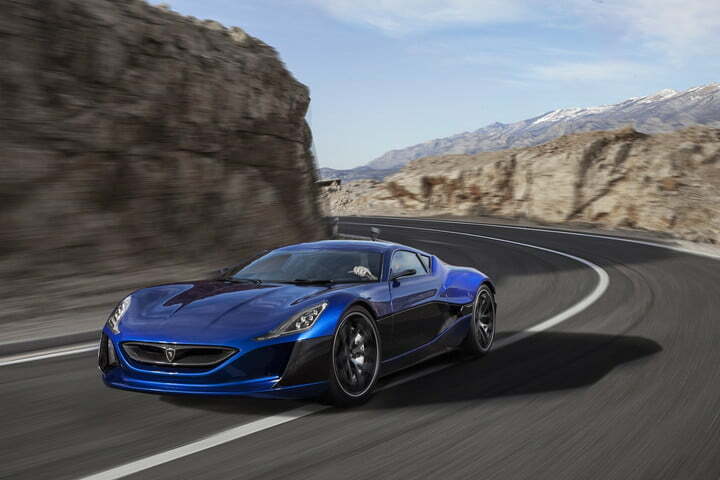 The product of Crotia’s Rimac Automobili , the Concept One is a 1,088-hp supercar powered only by electricity. It was built as a showpiece for the technology developed by Rimac which is also working on the powertrain for the Aston Martin Valkyrie. The motor on this car is a 4 liquid-cooled permanent magnet synchronous electric motors placed at each wheel. The range on this super quick car is 210 miles. The battery on the car is a 90 kWh Lithium Nickel Manganese Cobalt Oxide (LiNiMnCoO2) chemistry. 6. At this spot on this list is the Bugatti Veyron. Bugatti hasn’t issued an official 0 to 60 mph time for its new Chiron, although it’s quick to note that the Chiron will go from 0 to 249 mph and back to 0 in just 42 seconds. 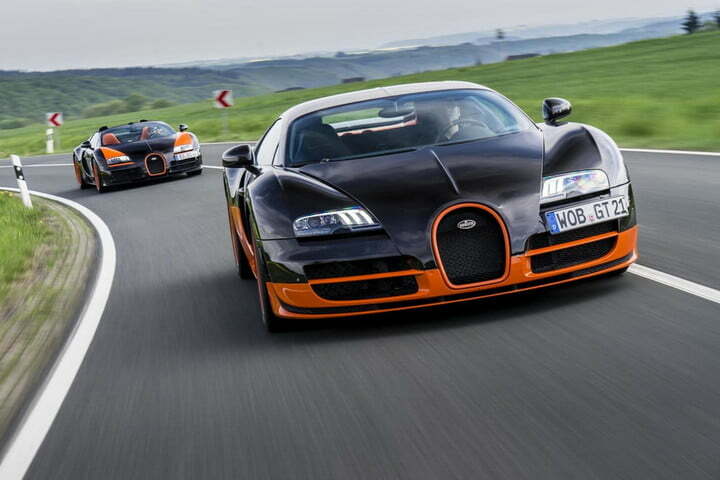 So for now, the Chiron’s predecessor keeps its spot on the quickest-cars list.The Bugatti Veyron did 0 to 60 mph in just 2.5 seconds, and was famously the fastest production car in the world. The original Veyron topped out at 253 mph, but Bugatti also built a Veyron Super Sport that reached 267 mph without bettering the “standard” Veyron’s 0 to 60 mph time.Getting the Veyron to those speeds is an 8.0-liter quad-turbocharged W16 engine that makes 1,001 hp in the Veyron and 1,200 hp in the Veyron Super Sport. Both versions cost over $1 million when new. 4. The car at this spot on the list is the Dodge Challenger Demon. It’s not surprising that a car built for running the quarter mile can also destroy the 0 to 60 mph sprint. 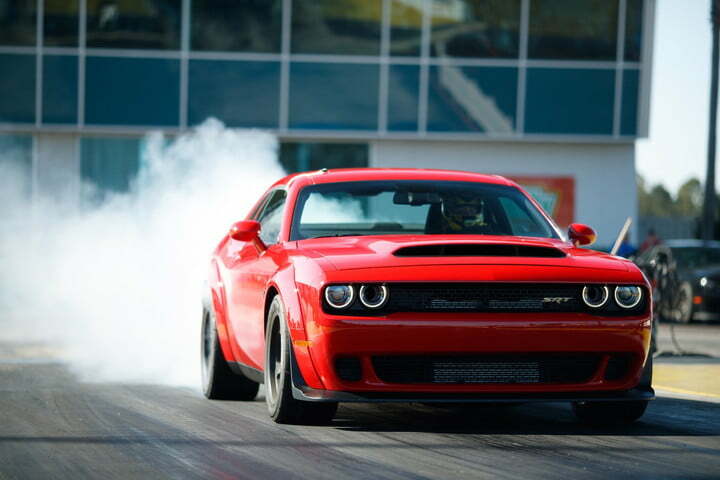 The Demon brings some serious hardware to bear on straight-line acceleration, from an 840-horsepower 6.2-liter supercharger Hemi V8, to a racing-style transbrake and massive rear tires. Officially, Dodge says the Demon will do 0 to 60 mph in 2.3 seconds. But the automaker has hinted that its most monstrous muscle car can accelerate even faster. As with the Tesla Model S P100D, it’s all down to how the acceleration time is measured. 3. At the third spot on this list is the Tesla Model S P100D. 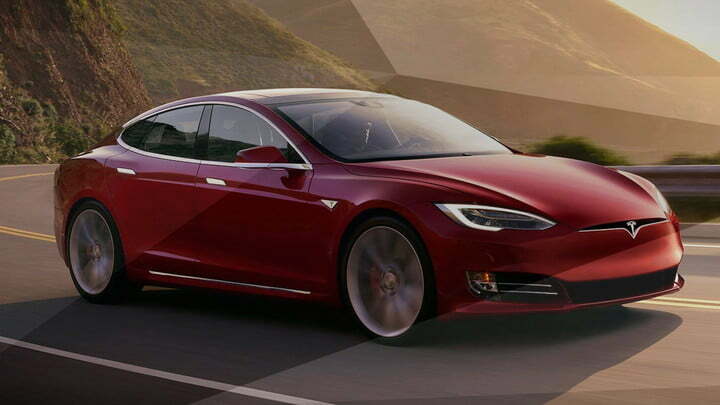 Tesla itself says the Model S will do 0 to 60 mph in 2.5 seconds, but Motor Trend got one to do the job in just 2.28 seconds. The difference is down to the way acceleration times are measured, but either way the Model S P100D is one seriously quick car. This car is so quick because of its electric motors. The cost of this car is 133,000 dollars. 2. At the second spot on this list is the Porsche 918 Spyder. This car goes from 0-60 in just 2.2 seconds. 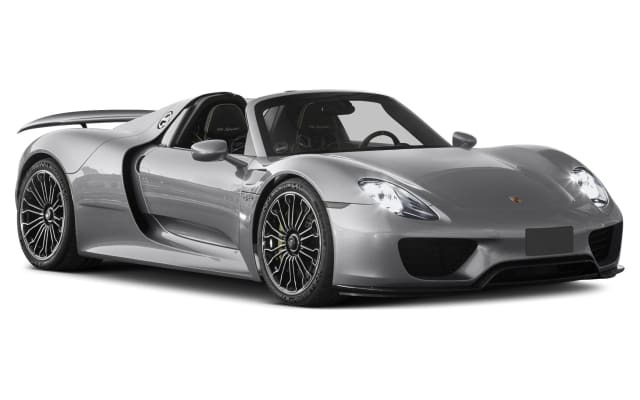 The 918 Spyder is the most technologically advanced Porsche road car to date. A 4.6-liter V8 and two electric motors produce a combined 887 horsepower and 944 pound-feet of torque. Porsche only made 918 copies, priced at $845,000 each. Yet another impressive statistic is the 918’s ability to drive up to 12 miles on electric power alone. Not bad for a V8 supercar. 1. The fastest car accelerating from 0 miles per hour to 60 miles per hour is the Tesla Roadster. The new Roadster will do 0 to 60 mph in 1.9 seconds, Musk claims, which would make it the quickest car in production by that metric. 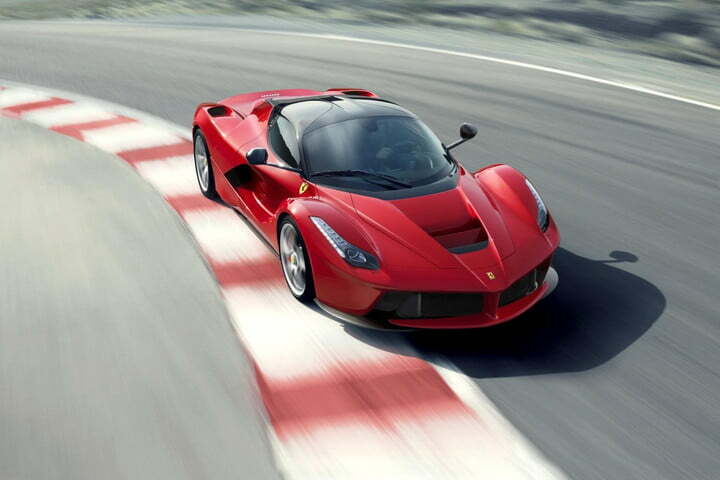 The car is also supposed to have a staggering 620 miles of range, and a top speed somewhere around 250 mph. 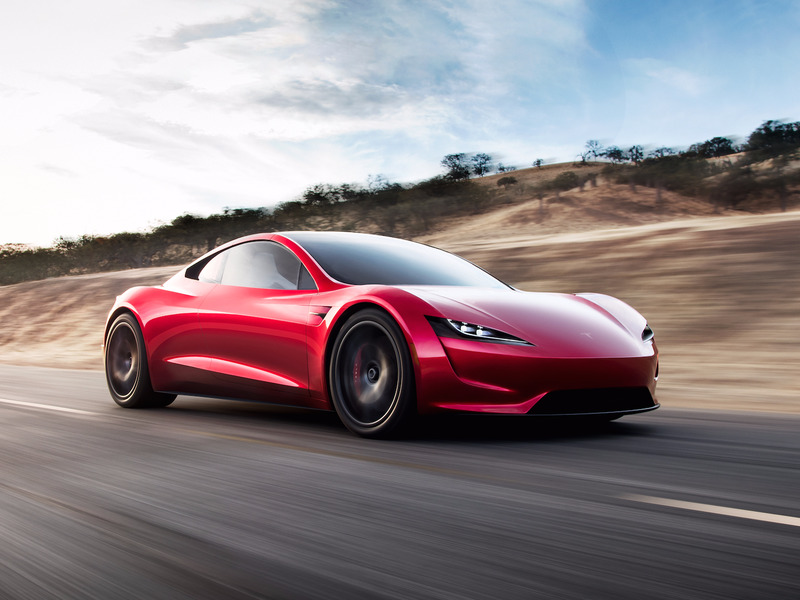 However, Tesla doesn’t plan to start building the Roadster until 2019 and, given Tesla’s history of missing production deadlines, buyers might have to wait even longer than that. This car goes from 0-100 miles per hour in just 4.2 seconds. These numbers are enough to make sick to your stomach. I once watched a YouTube video where people got to go on a ride on this Tesla Roadster. The reactions that came from this video will probably get a lot more sales for this car when it comes out. Electric cars are known to not have the highest top speeds just a great time of the line but this Tesla Roadster has a top speed of more than 250 miles per hour.